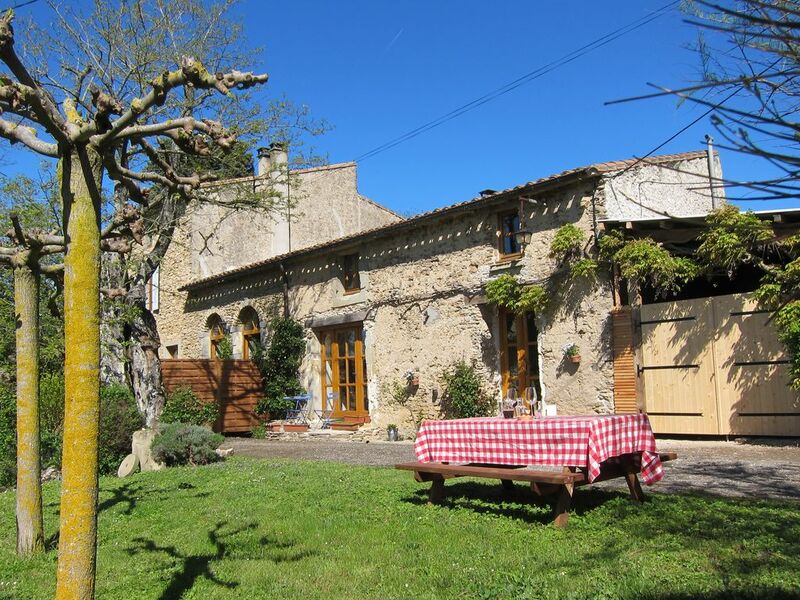 Perched on a hill overlooking the Malepère wine region and the Carcassonne valley this stylish holiday house (gîte) of 92m2 is a spacious home away from home for families with children (baby beds are available). The Master Bedroom with en-suite bathroom is located on the Mezzanine and features room darkening curtains for a good night’s sleep. In the winter of 2018 a completely new bathroom will be realised in this gite and a second (smaller) bedroom will be created, so children will also have their own room in this gite as from the 2019 season. Large panoramic terrace doors provide access to your terrace and small private garden with BBQ and breathtaking views of the countryside. Domaine de la Bade is a stunning home away from home in Raissac-sur-Lampy in the sunny South of France. Near the world famous Unesco World Heritage site of Carcassonne, we completely redesigned a traditional farm­house with old barns into five contemporary barn chic style holiday houses (gȋtes). With spectacular views of the Carcassonne valley and the Pyrenees, Domaine de la Bade is the ideal location to enjoy a sophisticated yet relaxed holiday in this charming region of the South of France. Come and enjoy the sunny terraces, shady corners, nice hammocks, delicious food, fine wines and above all the relaxed and informal atmosphere where you can truly feel at home.